Kitchener Oakland is an incubator commercial kitchen located in a prime, central, and burgeoning location in Uptown Oakland. It's close to the excitement of the First Friday Oakland Art Murmur; in the proximity of great food establishments such as Mua, Sweet Bar, Calavera, and Trueburger; and is within walking distance from Whole Foods, Lake Merritt, The New Parkway Theater, and 19th Street BART. We're seeking food entrepreneurs and artisans who love the art of food and who are looking for an inspiring home base to cook, bake, and create in a supportive and community-oriented kitchen. Our 1500 square foot kitchen is available for monthly rental for bakers, caterers, and cooks. Our rates start at $16/hour and cap off at $25/hour. See rates here. If you're interested in becoming a Kitchener Artisan, please fill out this form.  Kitchener Oakland is a strong, community-oriented kitchen that emphasizes the spirit of helpfulness, kindness, and openness in sharing knowledge and resources. The success of the kitchen has very much to do with the quality of our foodmakers. Every group passes a vetting process for character, personality, and production fit. Because this kitchen contains the livelihood of so many people's businesses and dreams, we place 100% emphasis on respecting the kitchen and one another and we place immense thought on creating a hospitable space to grow and nurture your business from fledgling to flight.